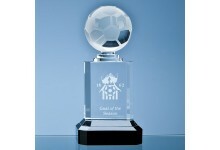 The Football on Hands are very effective and stylish, the ball spins freely on the hand having be.. 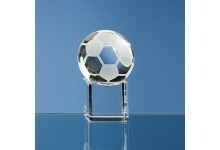 The clear optic Football is mounted onto an Onyx Black base to create a very stylish gift, the ba.. 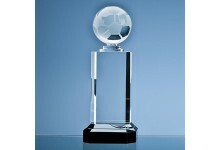 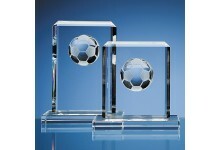 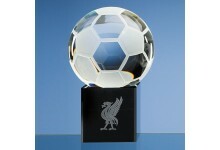 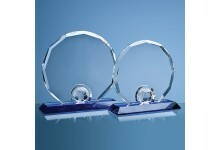 The Football Rectangles are stylish football awards that have been hand crafted out of perfectly .. 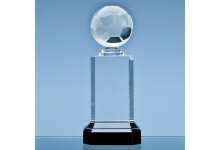 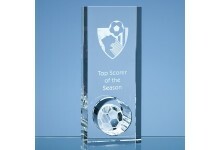 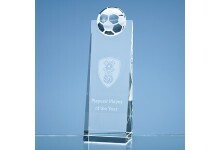 The modern looking Football Rectangle award is hand crafted out of perfectly clear optical crysta.. 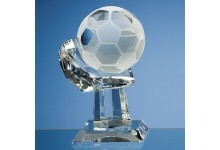 The 8cm optic crystal football is mounted onto a perfectly clear optic crystal column which is at.. 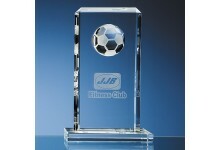 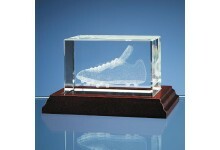 The perfectly clear optical crystal rectangle has been sub surface laser engraved with a football.. 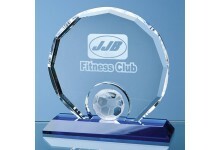 The Football on clear bases are very effective and stylish, the ball spins freely on the base hav..